Be the first to share your favorite memory, photo or story of Winford. This memorial page is dedicated for family, friends and future generations to celebrate the life of their loved one. 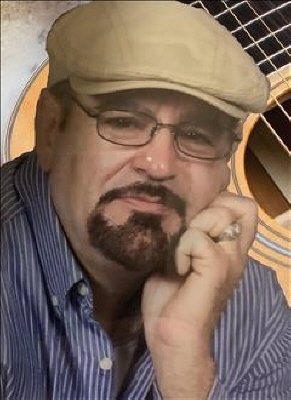 Winford Leon White, 66, passed from the hands of his family to the hands of the Lord at the Veteranâ€™s Hospital in Oklahoma City on Tuesday, March 26, 2019 at 9:17 pm. Leon was born on May 31, 1952 to Wes and Martha (Arterberry) White in Mangum, Oklahoma where he lived the majority of his life. Leon found his identity in his work. He started working alongside his Dad hauling hay at a very young age. He volunteered for the United States Army and served in Alaska as a truck driver, before returning home and starting a career in law enforcement. Leon was owner and operator of many businesses throughout his life to include the Shamrock full service gas station and bait shop, Whiteâ€™s Used Cars and Whiteâ€™s Energy Efficient Windows. He knew how to worship God by using his gifts to provide for his family and serve others. Playing the guitar and singing, riding his motorcycle, cracking jokes and spending time with his family brought the most joy to his life. Leon battled a 40-year heart related illness; however he conquered 66 years with a big heart bursting with love, generosity and compassion. Leon, above all, loved his wife without condition, cherished his children and adored his family more than life itself. His life on earth was his testimony of forgiveness, grace, strength, perseverance, integrity, joy and most of all, LOVE. Leon was preceded in death with his Father; Wes White, Mother; Martha White and Sister, Ruth Evelyn Nease. Leon is survived by his wife; DeVonna White, children; Lexie White, Lacey White, Chelsey White and Carson Welch, Shane Jimeson, Shawn Callahan, Patrick Lemke, Starla and Shawn Laughlin, Brandi Hibler, and Bunny Weaver. Brother, Oliver White, Sisters; Mary Ann Pate and Fern Wyatt. Grandchildren; Leremie Harper, Jessa Harper, Ivan Petzold, Zaleigh White, and Blakelynn White, Mother -in-law; Bonnie Gregory; Sister- in-law; Darla Gregory, and numerous Aunts, Uncles, Nieces, Nephews and Cousins. The family welcomes friends to join in visitation at the Greer Funeral Home, Mangum, Oklahoma on Friday, March 29, 2019 from 6:00 pm â€“ 8:00 pm. To send flowers or a remembrance gift to the family of Winford Leyon White, please visit our Tribute Store. "Email Address" would like to share the life celebration of Winford Leyon White. Click on the "link" to go to share a favorite memory or leave a condolence message for the family.